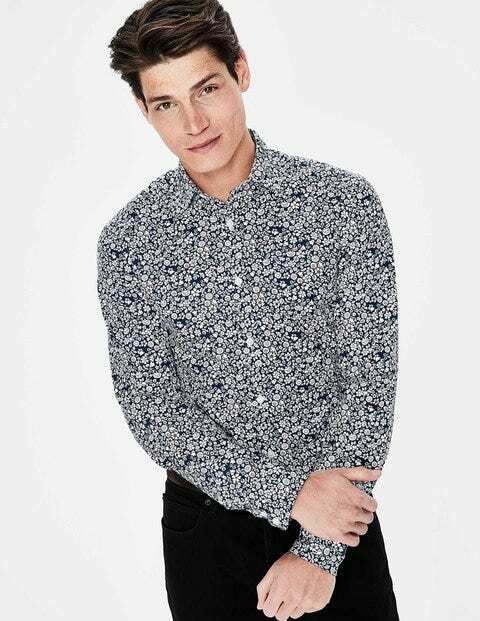 The print on this supersoft cotton twill shirt was designed in-house with versatility in mind. The dark colour combinations and subtle patterns mean it pairs just as easily with smart trousers as with jeans – so you can choose to brighten up the office or bring a pop of colour to weekend gatherings. We've cut it in a streamlined, regular fit, with a two-button cuff, and added our signature contrast buttonhole.